Les Dames d'Escoffier - Bonny Doon Tour & Tasting Now Open to Guests: Space is Limited! 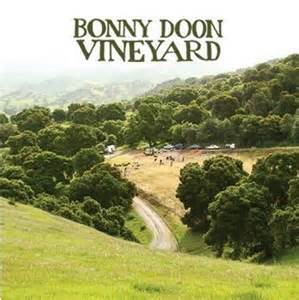 Bonny Doon Tour & Tasting Now Open to Guests: Space is Limited! a very special wine tasting and lunch! Randall Grahm of Bonny Doon Winery is hosting an exclusive Les Dames tasting at Bonny Doon in Davenport. Randall will personally take us through several flights of Vin Gris, Cigare Blanc and Cigare Volant, looking at a vertical selection of each and examine the different types of élevage (barrel, wood tank, glass demijohn, etc.) to note the striking effects of the different cellar treatments on the resulting wines. He will provide some small food pairings for the tasting. Afterwards, we will enjoy a special lunch menu at The Davenport Roadhouse and perhaps a stroll around Davenport.